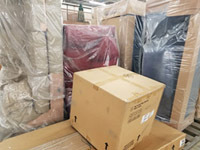 JC Penney has been closing stores in the past months resulting in some of the best furniture loads we have had in years. Many of the items are wrapped or in the original manufacturers boxes. 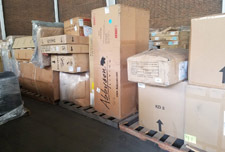 There are some returns mixed in but lots of overstock, floor samples, and other unsold product. 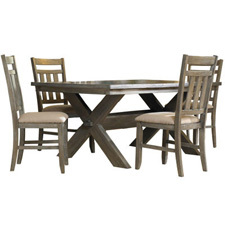 The majority of liquidation furniture loads we see are 80% or more wood and 20% or less upholstery. One reason for this is upholstered items usually sell first. Many of the items on these JC Penney loads come from store closings where the upholstery has not been sold off yet. We have had loads with over 50% upholstery. Here are some manifests of loads we recently sold. Please call for current availability. 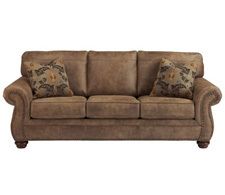 Example: There is a leather sofa with a retail price on the manifest of $1,600. The real market value of the sofa is $800. Your price on that sofa is only $136. You can sell the sofa for $272 and double your money. 75% off retail is $400. You can sell the sofa for 75% off retail price and still get close to a 200% return. A few items on the manifests might show retail values in excess of real market value but the loads are discounted so much there is a lot of room to work with. We don't get many loads with this much profit potential. There is a lot of profit potential with these loads compared to Processed general merchandise loads and other offerings in the liquidation market. You don't have to be a furniture store to sell furniture. General Discount Stores and Auction Houses are good venues. We have customers with full time jobs that put furniture loads in storage units and sell them on craigslist and local auctions. 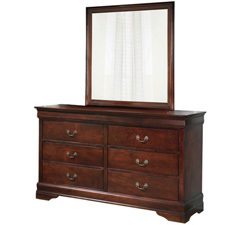 Good furniture at good prices is always in demand. These store closing loads will not last forever. Get your load(s) lined up while the opportunity exists.